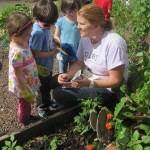 Gardening offers active and engaging connections to academics, from science and math to nutrition and literacy. Students remember information better when they design experiments, use more than one style of learning, and can share their newfound knowledge with others. 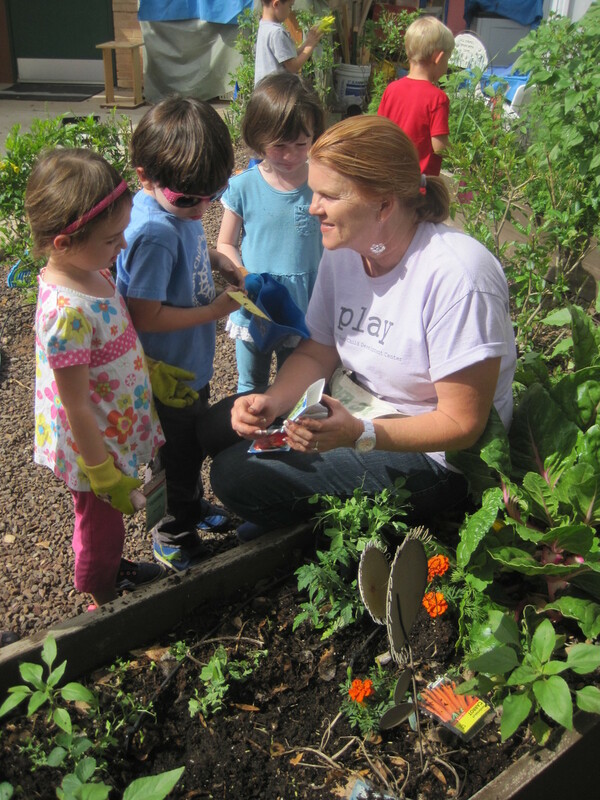 Gardening captures kids’ interest, teaches them nurturing skills, gives them a sense of pride in their accomplishments, introduces them to healthful foods, and provides a way to improve and give back to the community. Research indicates that children who spend time outdoors in natural, green spaces have reduced symptoms of attention-deficit disorder and ADHD. 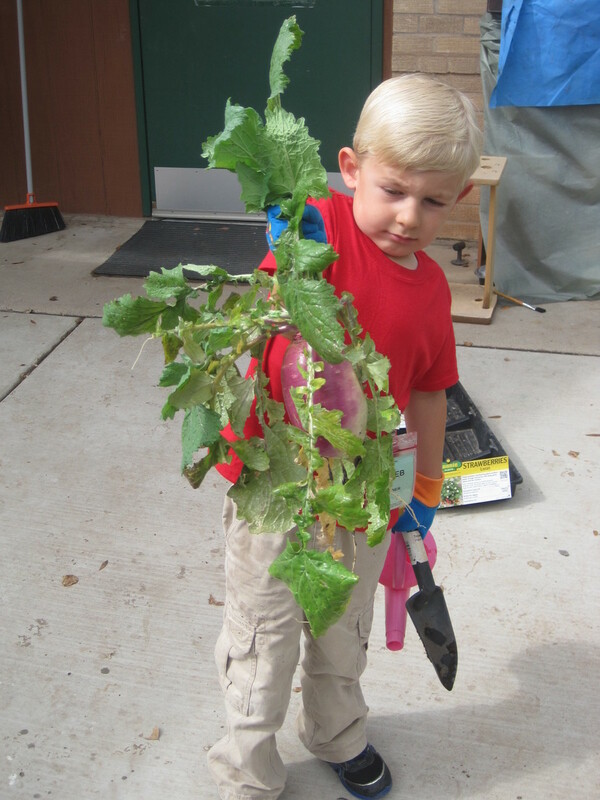 Chandler preschoolers are experiencing the cycle of life, appreciating the earth and respecting their environment as they dig, plant, water and care for their gardens at Desert Sun Child Development Center. 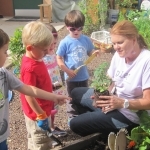 From flowers and plants to fruit and vegetables, gardening is an important aspect of hands-on learning incorporated into the daily curriculum at this top-rated Arizona school. 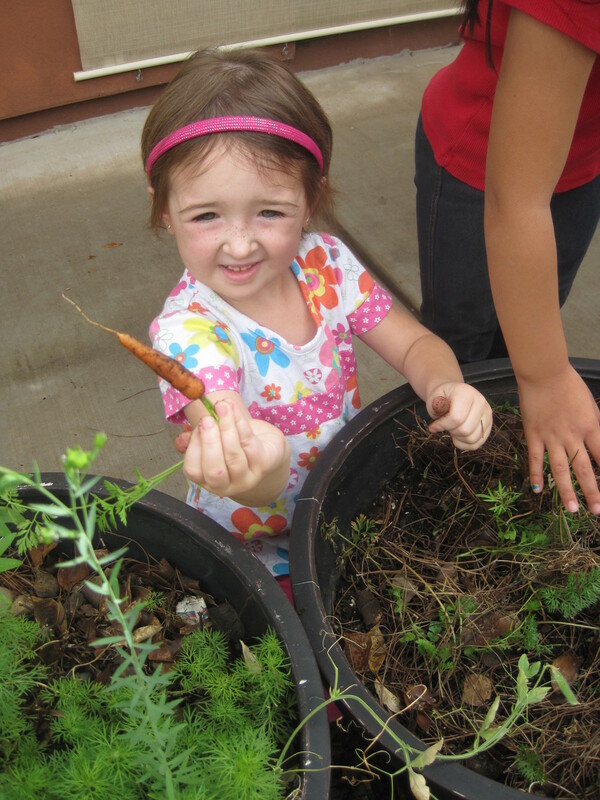 At the beginning of the school year, teachers ask students to bring individual packets of seeds of wildflowers and herbs, and vegetables like carrots, snap peas, tomatoes and radishes. “Tops of the carrots and other vegetables get fed to Cutie, the class Guinea pig,” Sheesley says. 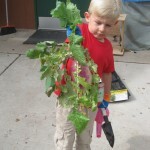 Each week two children are assigned as class gardeners. 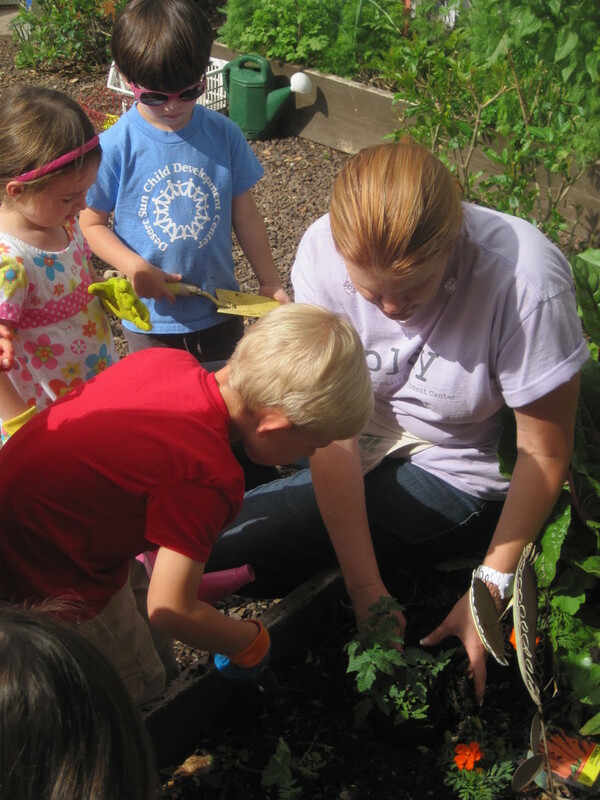 Through their individual jobs of watering and caring for the garden they learn about responsibility. “It gives them a sense of gratitude for what we grow and use,” Sheesley adds. 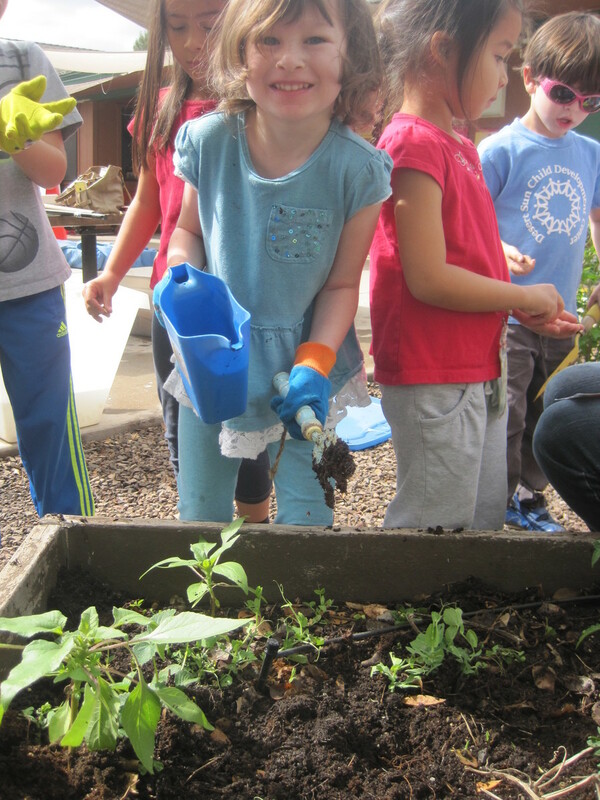 Not only are children seeing their gardens flourish, they are expanding their social, emotional, physical and cognitive development skills, too. 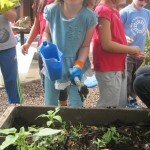 Children have fun using science to predict how each seed will grow and what it will look like. They practice balancing skills when using the large watering cans. 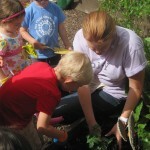 Books like “Jack and the Beanstalk” and others about planting seeds are read in class. They also get to taste everything they grow. “Because they take great pride and ownership in the garden, they are more brave and willing to try new things,” Sheesley says. 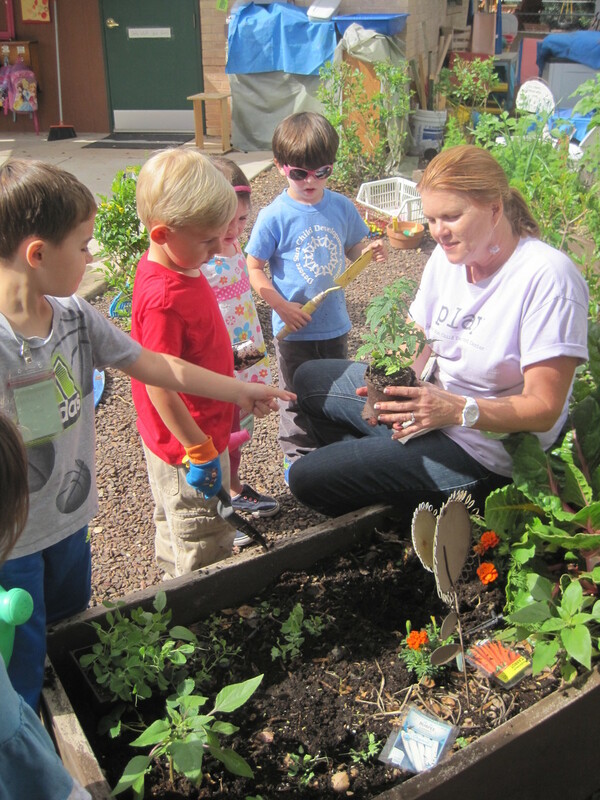 Gardening also gives teachers the opportunity to encourage children to work through their emotions practicing patience, courage, kindness and respect. 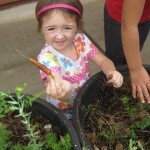 Another big goal of gardening at Desert Sun Child Development Center is to encourage the practice at home. 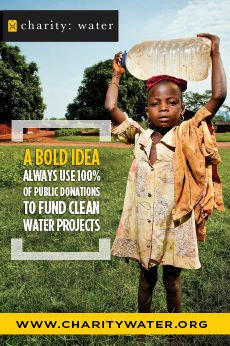 To learn more about Desert Sun Child Development Center, visit www.desertsun.org.